Let me just clear a little paperwork out of the way before we delve into this week’s ComicList. I’m keeping a running list of reactions and coverage of yesterday’s grand and glorious news from Fantagraphics, so feel free to drop me a line if you’ve shared some thoughts that I might have missed. Also, the second iteration of the Manga Moveable Feast is in full swing, with Matt (Rocket Bomber) Blind keeping track of everyone’s thoughts on Kaoru Mori’s Emma (CMX), which was originally serialized in Enterbrain’s Comic Beam, the same magazine that hosted Shimura Takako’s Wandering Son. It all comes together. 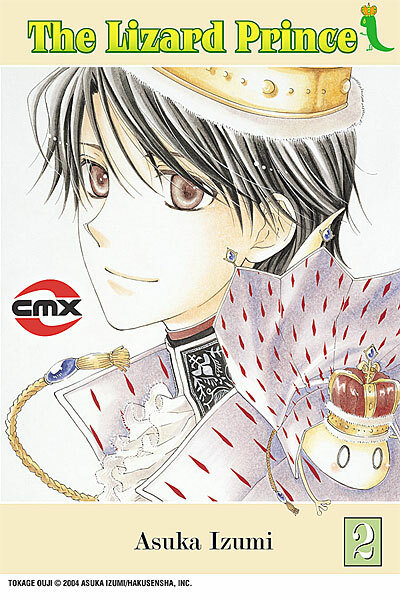 Back to the ComicList and sticking with CMX, DC’s manga imprint has some fine comics shipping on Wednesday. I posted a review of the first volume of Mayu Fujikata’s My Darling! Miss Bancho last week, and Kate (The Manga Critic) Dacey rounds up some other early word of mouth in her look at this week’s arrivals. But, as exuberant pitch persons remind us, that’s not all! There’s also the second (and final) volume of Asuka Izumi’s adorable The Lizard Prince. And in a timely arrival, CMX reminds us that they’ve been putting out classic shôjo for ages. 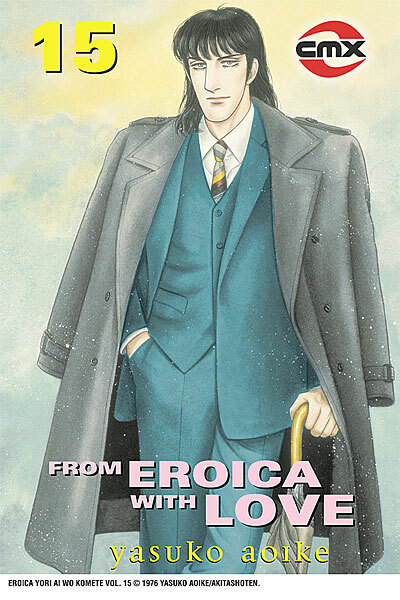 This week’s reminder comes in the form of the 15th volume of Yasuko Aoike’s From Eroica with Love. 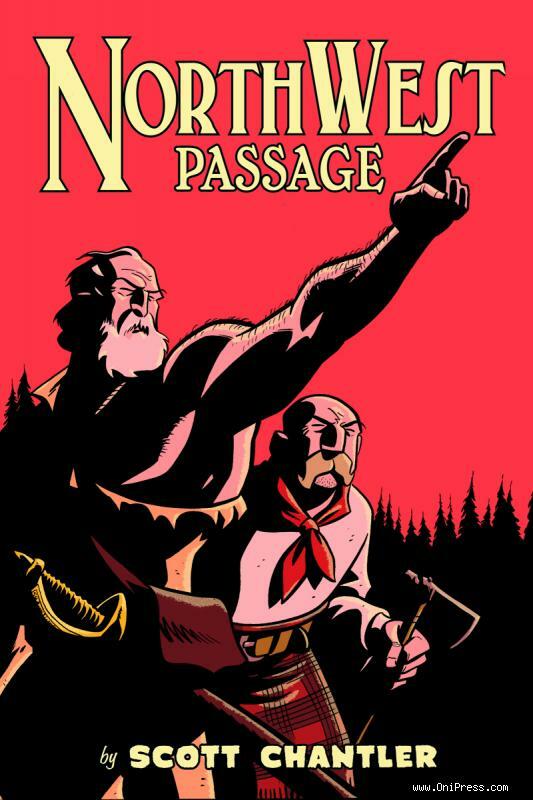 If for some inexplicable reason you missed Scott Chantler’s Northwest Passage in its original, three-volume form or in its hardcover annotated version, Oni Press gives you yet another opportunity to enjoy this terrific period action yarn in the form of a softcover edition of the annotated collection. Chantler does an amazing job combining history and adventure, so treat yourself. In a very different corner of the Viz catalog, there’s the fourth volume of Kiminori Wakasugi’s Detroit Metal City, a distasteful and hilarious tale of an acoustic kind of guy thrust into the death metal limelight. It’s in the middle of its first multi-part epic, so you might want to pick up the third volume before you read this one. Of course, you probably already own all of the available volumes, right? And this is less a recommendation than an inquiry: I remember thinking the first volume of naked ape’s switch was kind of pallid Wild Adapter fan fiction, but I recently got a random later volume in a batch of review copies, and at some point it seems to have become very readable Wild Adapter fan fiction. So my question is this: when did that happen, and is it worth rounding up the previous volumes? Or was the 12th volume just an aberrant quality spike? Oh, and in case you were wondering what would top the next Graphic Book Best Seller List at The New York Times, Yen Press is releasing the first volume of the graphic-novel version of Stephenie Meyers’ Twilight, adapted by Young Kim. The only question is whether it will topple Crumb in the hardcover section or Akamatsu in the manga list. I’m sure I’ll read it eventually. I don’t see any reason to rush, though. 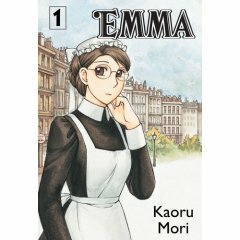 Here’s my Flipped column on Kaoru Mori’s Emma, originally published at The Comics Reporter on April 3, 2008. It was written before the conclusion of the main narrative, so I’ll follow up later in the week with a proper review of the final volume, but I thought I’d pull it out for this second round of the Manga Moveable Feast. For a running roster of contributions, please visit Rocket Bomber. Anyone who follows comic link aggregators has seen pieces on the “maid cafe,” a Japanese phenomenon featuring waitresses dressed up in domestic finery who provide assiduous service to patrons who like that sort of thing. At least partly responsible for the enduring popularity of these venues is Kaoru Mori, a gifted manga creator and dedicated Anglophile. Both of these qualities are on handsome display in Emma, a seven-volume manga series published in English by CMX, DC’s manga imprint. Devotees of public television should feel right at home with the Upstairs, Downstairs romance that unfolds. William Jones, the son of upper-class English merchants, is instantly smitten with the title character, who is working as a maid for William’s former governess. 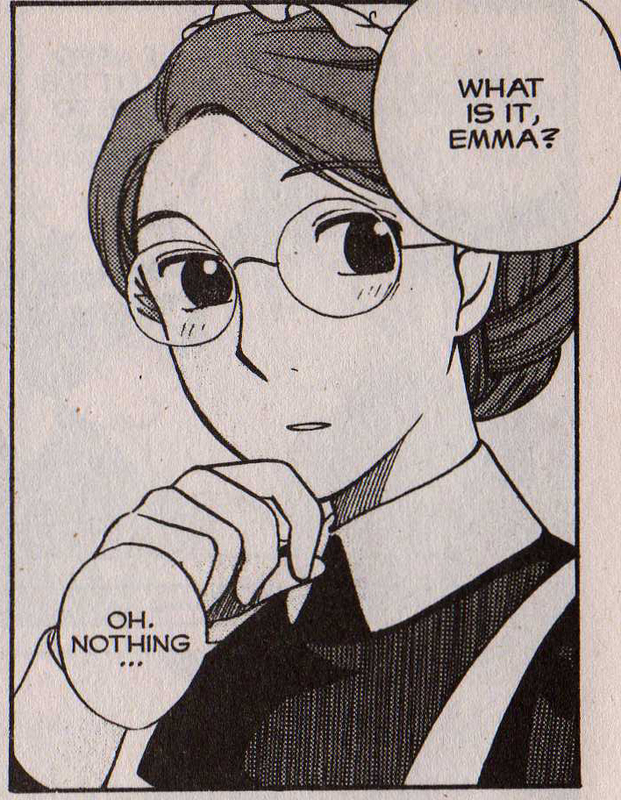 Love at first sight is difficult to portray persuasively, and Mori doesn’t entirely succeed, but there’s certainly something about Emma that inspires intrigue and sympathy. Characters refer to her beauty, though her charms seem more driven by personality than physicality. Whether rigid class structures will allow that kind of advancement is Emma‘s principle interest. Beyond William and Emma’s fraught, tentative romance, relative status informs everything. William’s stern father is keenly aware of his stance in the societal pecking order; he has money but not the certainty of a title. His fragile mother learned the difference between country elegance and city society to her sorrow. Old money sneers at new, city servants condescend to their rural counterparts, and foreigners view the whole morass with bemused contempt. 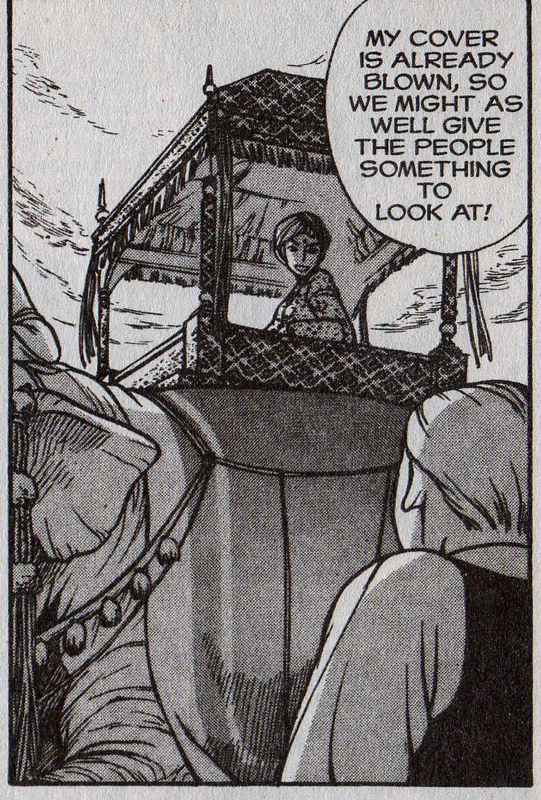 One of the marvels of Mori’s work is that she manages to convey this without lapsing into anything resembling a social studies lesson. Her finest moments are silent and subdued, as when Emma allows herself a bashful smile as examines a gift from her suitor. At the same time, she can deliver the kind of gossipy banter that feels authentic. The complex class conflicts emerge in the below-stairs chatter among servants and pointed observations of the wealthy. Mori has been cited for the meticulous research she conducted as a part of the manga’s creation, and the results show. The settings are rendered with lush attention to detail, and so are the mundane activities of the servants. Readers get an organic sense of the amount of work it was to maintain a household and the carefully managed division of labor that made it possible. The untroubled ease of the gentry becomes more decadent as a result, so it’s smart of Mori to give the servants pride in their accomplishments and the leisure to talk trash about their employers. Looking back on what I’ve written so far, I may have given the false impression that Emma is a humorless affair, and it isn’t. It’s true that Emma and William’s arc is incremental and restrained, but Mori can go over the top hen the mood strikes. Beyond the barbed wit of many of the exchanges, there’s a fair sprinkling of comic supporting characters. None of them can quite compete with William’s childhood friend Hakim, a wealthy Indian who travels with an entourage straight out of a Bollywood musical. And any lingering doubts about Mori’s sense of humor are demolished by her autobiographical afterwords, where she elaborates on her creative process and personal passions with hilarious abandon. Ultimately, the effect of Emma is one of feverish romanticism under a leisurely, measured facade. The effect is conveyed more through Mori’s passion for the period and setting she’s evoking than the specific interplay of characters and their fates. But if Mori’s love for the dramatized nuances of a different period is more engrossing than a rich boy’s love for a maid, Mori’s love is more than enough to result in a richly entertaining comic. You are currently browsing the The Manga Curmudgeon blog archives for the day Tuesday, March 9th, 2010.